There is an abundance of beauty products on the market, each with their own promise of results that can sound too good to be true. Often our clients aren’t sure what to believe and which products are the most important to be investing in. So, let’s take a look at two of the products which we deem essential for the health, vitality and overall appearance of youthful, hydrated and flawless skin; moisturisers and serums. 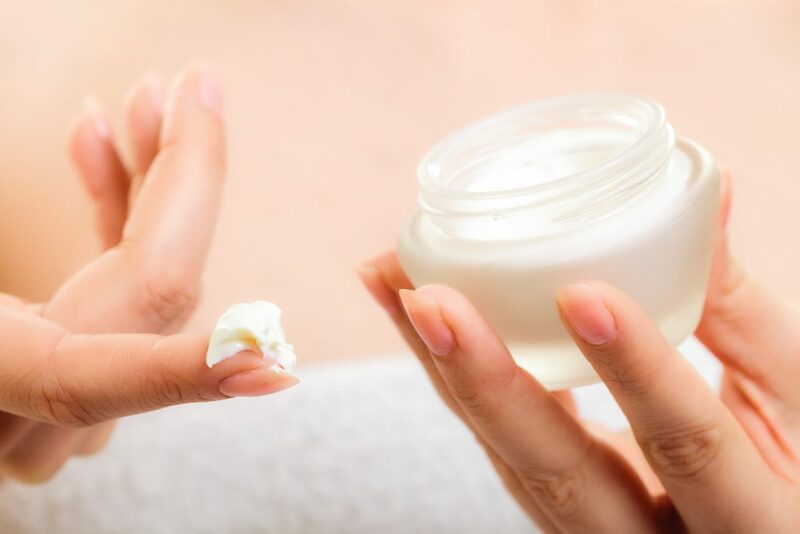 Here, we’ll look at what moisturisers and serums actually do for the skin and why we think they’re so important, plus the variations in choices available to help you make the best possible decision for your skin. What Do Moisturisers and Serums Do? You have probably been using moisturisers on your skin for as long as you can remember. But serum is often more of an elusive beauty and skincare product, a little less known. Let’s take a look at them both and what they actually do. Moisturisers contain ingredients that help to hold water in the outer layer of the skin and are formulated to not only moisturise and deeply hydrate the skin but also to provide a protective layer on the surface. This layer can help to repel the toxins of your environment and further protect your skin. Serums are in many ways similar to moisturisers but their lightweight formulation allows them to penetrate the skin even deeper. Serums are not supposed to replace a moisturiser in your daily routine but to add an extra form of deep hydration to skin. There are several benefits to using both moisturisers and serums, let’s take a quick look. Hydrated skin from using moisturiser looks and feels brighter, smoother and healthier. Moisturiser can help with the appearance of wrinkles already formed, as well as preventing future wrinkles from developing. Without moisturiser, the skin would become dull and dry. With its use, your skin can be brighter, better-hydrated and fuller-looking. Moisturiser helps to create the best possible surface to apply makeup that looks and feels flawless. Serums penetrate the skin’s epidermis, providing a deep and concentrated treatment. Serums can target skin issues, such as ageing, acne and dehydration. 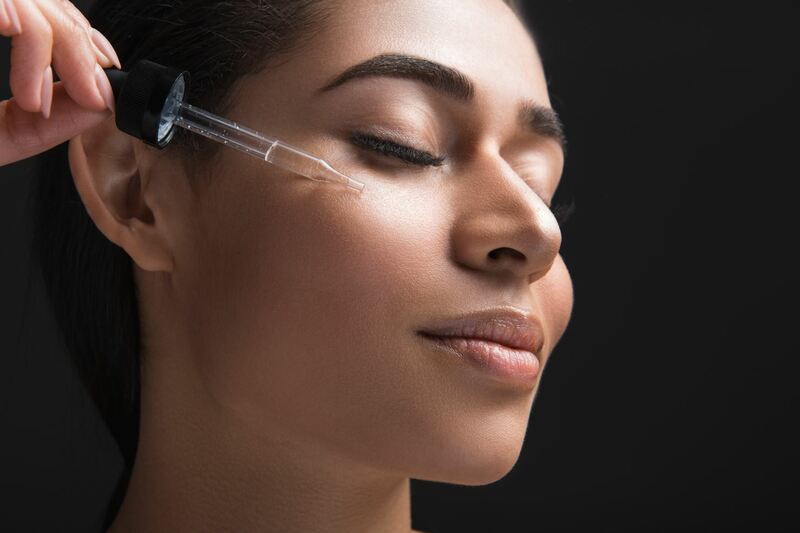 Serums boost the production of collagen, giving your skin a flawless and youthful appearance. 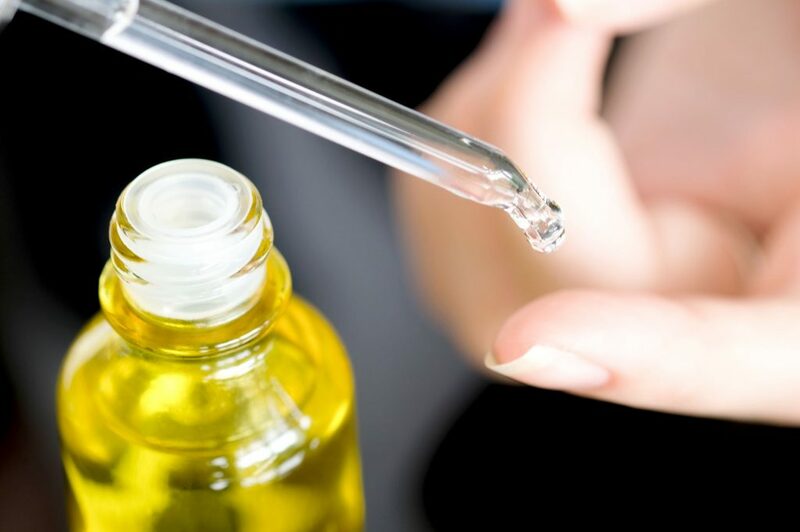 Serums are known to brighten your skin, giving you a naturally healthy glow. There are hundreds of moisturisers and serums on the market for different skin types and also certain skin complaints. Firstly, let’s look at the products we use, here at Rani Mirza. For mature skin, we use YONKA’s Excellence Code Crème and Serum this luscious and comfortable cream fights off any signs of aging: dryness, loss of firmness and brightness, wrinkles, discoloration. For dry skin that needs extra nourishment, we use the Nutri Defense Crème or YONKA’s Elixir Vital Repairing and Nourishing Serum. It is a combination of 24 essential amino acids with hydrating and nourishing actives, bring back radiance to the skin; the skin is smoothed, it looks younger. For more oily skin, we love to use YONKA’s Hydra No1 Crème and Serum. This super hydrating, anti-aging mattifying fluid is remarkably effective for boosting normal to oily skin throughout the day, wile leaving it without a shiny appearance. For combination and acne skin and often younger clients, we tend to use Crème PG or the Juvenil Serum by YONKA. This cream balances sebaceous secretions, tightens dilated pores, and keeps makeup fresh and long lasting. If you’re searching for your own moisturisers and serums to use, we have collated some of the most popular choices on the market today. Laura Mercier moisturiser is a top choice for many. This tinted moisturiser gives subtle colour and SPF while also softening and hydrating fine lines. Crafted using thermal spring water, the moisturisers from La Roche-Posay have become a firm favourite in the industry with choices to suit all skin types. A classic choice from Clarins, the Multi-Active Jour moisturiser remains a top choice for skincare lovers globally. When it comes to a luxury choice, La Mer’s facial moisturisers continue to get some of the best reviews in the business. From the Soft Cream to the Matte Lotion, these deeply hydrating and almost weightless formulations offer a beautiful finish for the skin. A classic brand, Olay’s Regenerist 3-Point Super Serum is a popular choice for skincare enthusiasts. The serum has a skin-plumping formula to help with anti-ageing when part of your daily routine. Having built a reputation for no-nonsense skincare that works, The Ordinary created its Hyaluronic Acid serum, created with deep hydrating benefits. Murad has become a popular skincare brand when it comes to a slightly higher price point that is still accessible. The Resurgence Retinol Youth Renewal Serum helps to increase the skin’s elasticity and reduce fine lines and wrinkles. How Often Should I Be Using Moisturisers and Serums? It’s important to get into a regular and consistent routine when it comes to your skincare and moisturisers and serums are certainly a key part of this routine. Just like cleansing and toning, moisturisers and serums should be used twice a day, every day. The order that you apply your skincare is also incredibly important. To ensure each layer of your skincare can penetrate the skin properly, make sure that you always cleanse and then tone, followed by your serum. Once your serum has deeply settled into the skin, apply your moisturiser. Top with SPF if this is not included within your moisturiser product of choice. Complete with your makeup look or night eye cream. Moisturisers and serums are a pivotal part of a well-rounded skincare routine. Choosing the perfect type for your skin may take a little trial and error but finding the right products that suit your skin can help to create a flawless complexion and even work against things like ageing of the skin and discolouration.